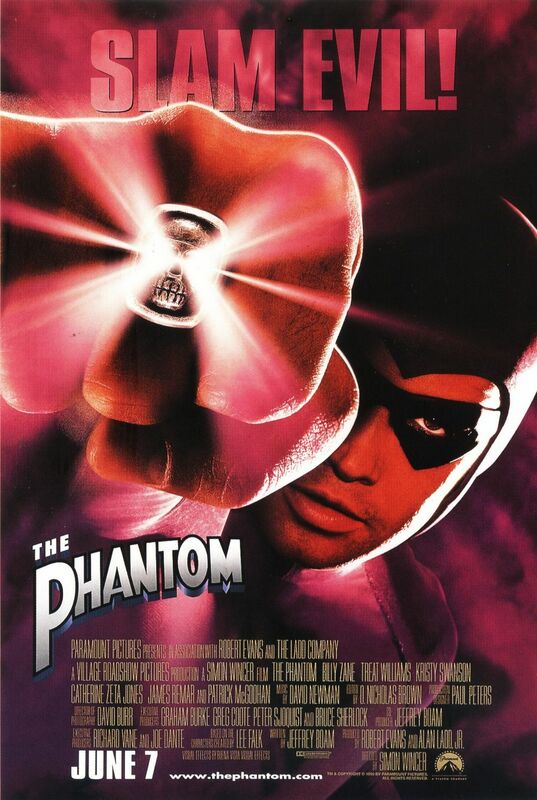 Based on the characters created by Lee Falk, this 1996 actioner stars Billy Zane as Kit Walker/The Phantom. 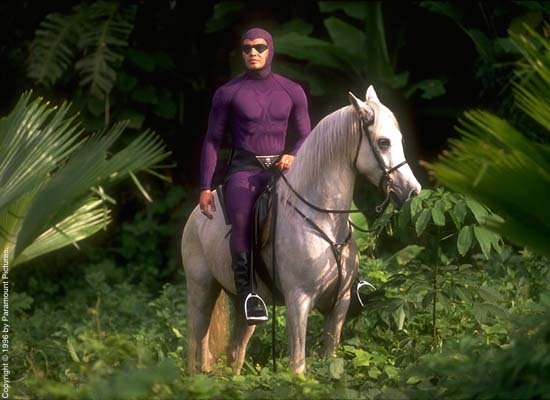 The Phantom comes from a long line of heroes who have defended Bengalla for years. Kit Walker is the 21st Phantom. The role of The Phantom is passed through the generations to make anyone who would commit evil think that The Phantom is a single immortal figure. 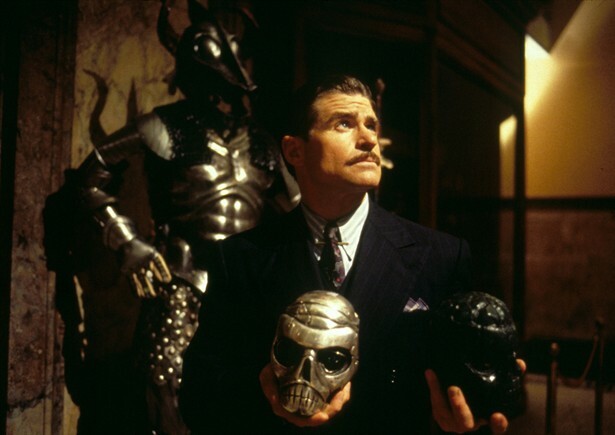 The Phantom stumbles across tomb raiders who are looking for an ancient skull that if used with two other skulls, will grant the user unimaginable power. The Phantom has been protecting these skulls as he knows that if they fall into the wrong hands it could spell doom for the entire world. After foiling the tomb raiders, one manages to escape with the skull, a man called Quill (James Remar). Quill works for an amoral business man in New York called Xander Drax (Treat Williams). Drax has been resorting to any means necessary to retrieve all three skulls as he is looking to rule the world. Hearing rumours of Drax’s nefarious acts a woman named Diana Palmer (Kristy Swanson), is sent to Bengalla to investigate rumours of Drax’s business methods. When Diana is captured snooping around it is left to her ex-boyfriend Kit Walker/The Phantom, to save her. Diana tells Kit of the rumours about Drax, leaving it up to The Phantom to track down and stop Drax from completing his goal. I’ll be honest this film is incredibly cheesy, but in a very fun way. I remember seeing the trailer when it was being advertised in the cinema and thought it might be something I’d enjoy. It is a perfect Saturday afternoon movie. It’s entertaining and has a hint of Indiana Jones about it. 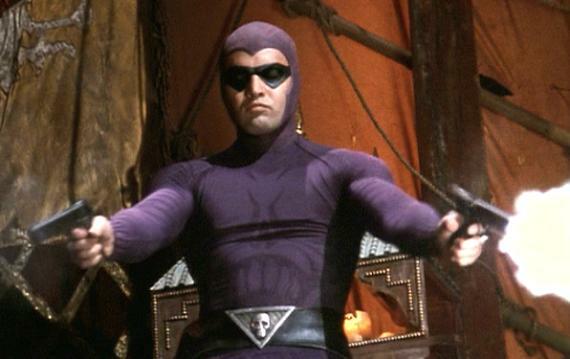 Billy Zane is actually quite good as The Phantom. He is cocksure, but presents a brilliant, chiselled, comic-book style hero. 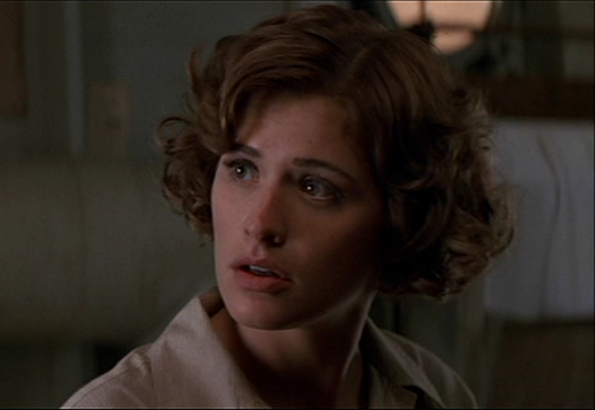 Kristy Swanson is unconvincing as Diana. I have never been entirely convinced of her acting abilities at all. Treat Williams is great as Xander Drax. He hams it up perfectly as the cackling villain, bringing a hint of menace to the role. He is an actor I have always liked, never been mainstream sadly, but still a good actor. This is worth watching. It won’t win any awards no, but films that win awards are not always very entertaining. Well in my opinion anyway. Give this a go though, I think you’ll like it. I like him in Dead Heat and Deep Rising too. Both entertaining B-movies. Whoever does not like Treat Williams has no soul. 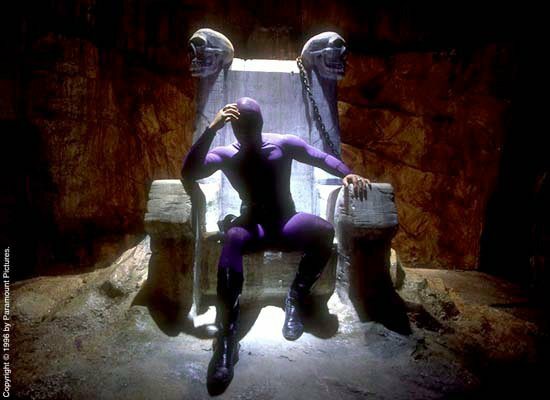 The problem with The Phantom is, ironically enough, the same problem we’re having with movies now – the market was/is being saturated with superhero movies. If I recall correctly, Alec Baldwin’s The Shadow came out in the same year. It did indeed, or at least close to it.